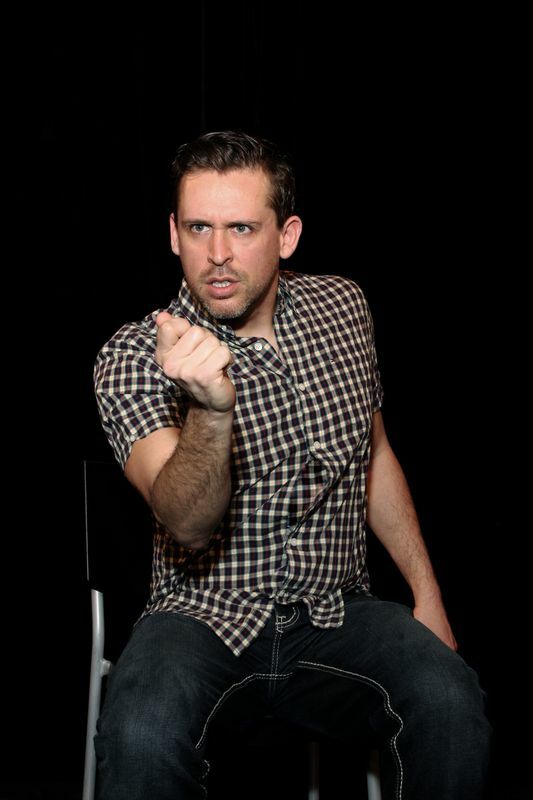 StageBuzz.com: Review - "Buyer and Cellar," "Ann," and "Son of a Hutch"
Review - "Buyer and Cellar," "Ann," and "Son of a Hutch"
I've mentioned before that I tend to be a little skittish at seeing one-man shows. They really need to have an exceptionally capable and compelling actor, a strong director (or a self-aware actor who can distance himself from the material and the performance enough to know what works and what doesn't), and a story that the audience will find entertaining. A show doesn't have to have all three of these to work, but when it does, it can be fantastic. 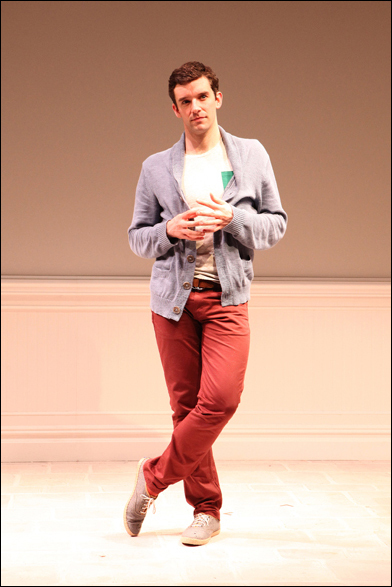 A great example of a play with all three elements is the delightfully entertaining "Buyer & Cellar" featuring Michael Urie. Written by Jonathan Tolins, "Buyer & Cellar" was inspired by a section of Barbra Streisand's design book, "My Passion for Design," in which Streisand describes a "mall" in the basement of a barn on her estate that has been made to look like a street of quaint shops, each dedicated to one of her various collections. There is a doll shop, a gift shop, an antique clothing boutique, even a frozen yogurt stand. Tolins, taking that concept to it's absurd extreme, imagines an out-of-work actor hired by Streisand to be a salesman in this mall. One lonely salesman serving one very important customer; both dealing with different kinds of isolation, and finding some common ground because of it. The result is a funny and touching fantasy that pokes gentle fun at Streisand and the legion of people who adore her, or at least her public persona. There are also a number of insights about the cannibalistic nature of celebrity (people being so desperate for a piece of one of their idols that they would consume them given the chance), the pain inflicted by family, and the long-term damage to the psyche these things can cause. Michael Urie is outstanding as Alex, the actor who, despite have been fired from Disney for threatening a child with a churro, finds himself in Barbra's basement. As Alex tells his story, he brings to life the other characters - his boyfriend, Streisand, James Brolin, Streisand's assistant, to name a few. His version of Streisand is remarkable in that it is subtly painted. Urie doesn't do an impression, but uses a few details - a change of voice, certain languid movements - that call to mind Streisand without being too obvious. Stephen Brackett ably directs the show, and Andrew Boyce's set and Alex Koch's projection design create an extraordinarily nimble playing area for Urie to work with. The only thing that could have made "Buyer & Cellar" any better is if it had been based on a real story. Having grown up in Texas during the time of Ann Richards' governorship, I've always admired the white-haired liberal firebrand. 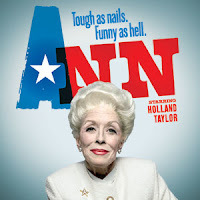 Holland Taylor's recent production of "Ann" on Broadway brought back a flood of good memories about the former governor. And while the play is somewhat uneven, Holland Taylor gives an amazing performance, solidly recreating a larger-than-life woman, who nevertheless is thoroughly real and believable. "Ann" starts with the former governor giving the commencement speech at a Texas university, talking about her life and experiences in government. This segues into a day in the life of the governor as she wrestles with a variety of issues (including a thorny, last-minute death row decision). It returns to Richards giving her speech and reflecting on her later years and death (which threw me out of the play a little since I began to wonder if this was meant to be something like the movie "Defending Your Life"). Richards' stories are interesting and often very funny, and Taylor excels showing her puckish charm, fierce intelligence and strength (not to mention nailing the Texas drawl and swagger). The play is a loving tribute to Ann Richards, and one that is entertaining, but it left me wanting more. She was at her best interacting with people; Taylor's play has some of that, but there is only so much a one-person show can do. Joe Hutcheson's "Son of a Hutch" explores the issue of identity. There have been a number of plays by gay men that have dealt with what it means to be a man, or to live up to their families' or societies' expectations. Hutcheson's play is a variation on that theme. What does it mean to be Hutch (the nickname the men in his family all eventually inherit)? Hutcheson traces his journey from awkward childhood (acting out scenes from "Dynasty" with his brother), to his first inklings of his sexuality (repeated viewings of the locker room scene from "Wildcats") to coming out to his parents (both parents surprised him with their reactions). Along the way he explores the relationships with the other Hutches in his life - his father, his uncle and his brother. At different points in his life, he has different understanding of what it means to be Hutch, and how best to become that man. Hutcheson is an engaging performer with a real talent for bringing to life the characters he portrays (watching him seamlessly transform into his brother, mother, father, uncle and others is a joy). But watching his journey and search for his place in his family and world is the true delight. "Son of a Hutch" is compelling, funny and touching. For more information about these shows and upcoming performances ("Ann" closed on June 30th, but "Buyer & Cellar" and "Son of a Hutch" are still running), visit their websites.